Here is a link to some monologues to use for auditioning for Advanced Drama. You will laugh, you will cry, you will fall in love with the extraordinary girls of the March Family in this musical version of the classic story. 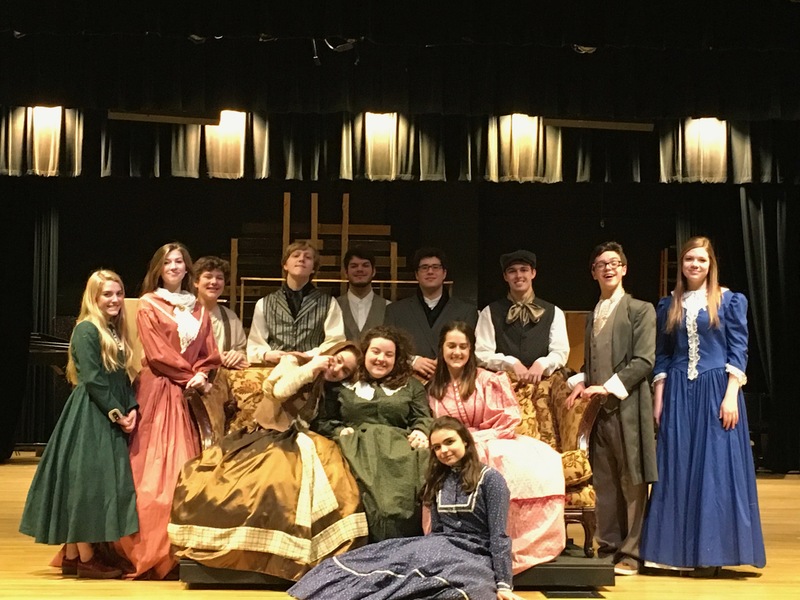 Little Women is February 1 at 7pm and February 2nd at 2pm and 7pm. Tickets are $12 for adults and $8 for students. They can be reserved by emailing info@mcintoshtheater.org, and can also be purchased at the door. If you would rather answer the questions on your computer, you can copy the questions below into a google doc. Some of your answers will come from the script and some you will have to decide based on what you know about the character. For instance, it would not make sense for Travis’s favorite type of music to be classical music; rock or country music would be a much better fit. What grade are you in and how old are you? Describe your family life. Include who you live with and where you live (house, apartment). How intelligent are you and how do you do in school (look at the language your character uses)? What is your social status? Are you wealthy, poor or middle-class? What is your best trait? Your worst trait? Who are you closest to in the play? Who are you friends with and who do you not like? Who or what bugs you the most? What about yourself are you most proud of? What do you want more than everything? What is your favorite song or type of music? What is your favorite movie, TV show or book? What type of animal are you most like? Explain. You should look for war poems and war songs. A google search of “war poems” will list lots of sites. Ideally we would have poems from many different wars. You may want to check with Ms. Hodge as well – the media center probably has a few For war songs, look for ones that somehow fit in with Booby Trap – “War Ensemble” by Slayer would not work. You should create a doc for the poems you think we should consider. If you have time, you could also start designing a poster for the show. It has been an absolute honor to work with this cast and crew on Student Body. They gave everything they had, and gave their best and rawest performance at the competition. I could not have asked for more from them, and they were incredible, leaving many in the audience in tears. Ava was named Best Actress, Iain was named Best Actor, Grace was named Best Supporting Actress, and Emma and Lydia were named to the All Star Cast. We all would have loved to advance to state, but they can hold their head high knowing they gave everything they had, and knowing that they touched many lives through their courage and willingness to take on such an important and relevant topic. And, through their performances at school, they raised $1700 for the Southern Crescent Sexual Assault and Child Advocacy Center. This has been an experience of a lifetime, and I am humbled by the casts’ talent, commitment and compassion. The McIntosh High School Drama program is proud to present the high school premiere of Student Body by Frank Winters on October 18th and 20th at 7:00 pm in the McIntosh Auditorium. Tickets are $5 for students and $8 for adults. Tickets can be purchased at the door or reserved by emailing info@mcintoshtheater.org. All ticket sales will be donated to the Southern Crescent Sexual Assault and Child Advocacy Center, a local non-profit working to reduce sexual violence. In Student Body, a group of students gather to decide what to do with a video that appears to show a fellow student sexually assaulting another student. In one intense night, friendships will be broken, secrets will be revealed, and no one’s life will be the same. In addition to the performance, there will be a presentation by the Southern Crescent Sexual Assault and Child Advocacy Center detailing the services they provide, and a presentation on underage drinking and social hosting laws. “The play tackles serious situations that, even though we don’t want them to be, are very current. 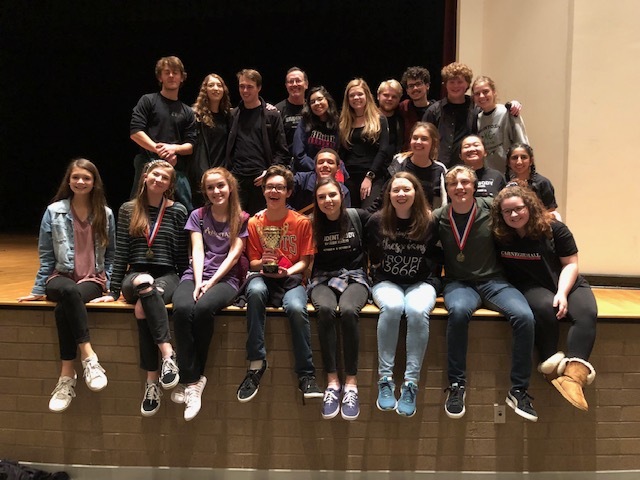 But this cast is so supportive and loving – we push each other to do our best and to focus on telling this powerful story,” says senior Grace Kilgore, who plays Daisy in the play. The first payment for ThesCon is $125 and will be due by October 5. The $125 covers only the cost of registration and is non-refundable. The remaining payment will be due in January, and will be $125 – $150, depending on the cost of the hotel and bus. All meals will be included. I realize this does not give you much advance notice, but we need to register as soon as possible. In the past two year, the conference has had to turn away schools due to running out of space, and we have also not been able to attend the opening and closing numbers due to registering late. Along with registration fee, you must turn in the Agreement Form by October 5th. https://gathespians.org/2019form/ After filling out the form online, you will receive an email with a pdf that you will need to print out and sign. We currently have a few chaperones lined up, but we could always use more. If chaperones want to attend the workshops and performances, they will need to pay the $125 registration fee. If you want to chaperone but are not interested in attending the workshops and performances, you would only need to pay the $125-$150 to cover the hotel room and bus. If you have any questions, please email me at buswell.ken@mail.fcboe.org.